Mid-century Seattle possessed a rich music scene that was sharply divided along racial lines. Barred from playing in many of the big clubs, members of Seattle’s Black Musicians’ Union–the 493–created a vibrant jazz scene along Jackson Street. 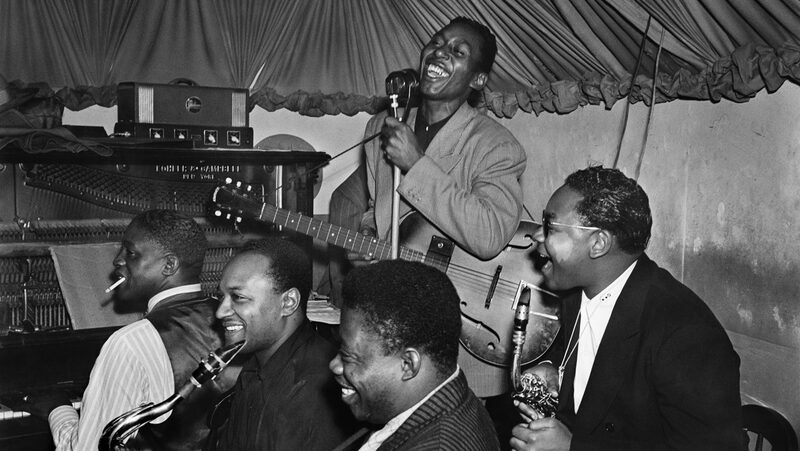 Hear from long-time union members about the significance of this musical moment and the ensuing racial integration of the Musicians’ Unions. Enjoy live jazz performed by current members of the Local 76-493. This program is presented in partnership with the Northwest African American Museum. Moderator: Carver Clark Gayton received his Ph.D. in Political Science from the University of Washington. He served as UW Director of Affirmative Action Programs, Assistant Professor of Public Administration at Florida State University, Boeing’s Corporate Director of Educational Relations and Training, Lecturer at the UW Evans School of Public Policy and Governance, and Founding Executive Director Emeritus of the Northwest African American Museum. Kurt E. Armbruster is a Seattle native, historian, professional bassist, and singer-songwriter. He is the author of numerous historical articles and books, including Before Seattle Rocked: A City and Its Music. He is a proud card-carrying member of the Musicians’ Union of Seattle Local 76-493. Barney Hilliard was a founding member of the original Dave Lewis Combo in 1954 and led Carousel Dance Band for over 30 years. He joined Local 493, which integrated with Local 76 in 1958. In 2014, Hilliard was recognized by the Musicians’ Union for 50 years of membership. Overton Berry began his musical career over fifty years ago playing USO shows at bases on the west coast. Some of his many credits since include Music Director for the House of Entertainment during the Seattle World’s Fair, Music Director of the Gene Stridel Show, and Music Director of the Overton Berry Trio and the TOBE School of Music.